Orion3 from Blatchford is an intelligent microprocessor knee with Smart Programming which means the knee can be calibrated to each user based on their walking speed and gait cycle. It is suitable for activity 2 to 4 amputees who would benefit from stability on different terrains, slopes and steps and for those wishing to walk naturally and efficiently at either single or varying speeds. The safety and stability of Orion3 encourages users to evenly distribute their weight, offloading their sound side and lower back to reduce aches and pains commonly reported by amputees. Programming Orion3 just got faster and simpler with the new Orion3 Programming App for clinicians available on iOS. With its simple to follow automated smart programming, you can complete limb set up with fewer steps whilst still having access to more advanced fine tuning if required. Maximum resistance stabilises knee, on both at and slopes, encouraging better posture and balanced loading to relieve pressure on sound limb and lower back. 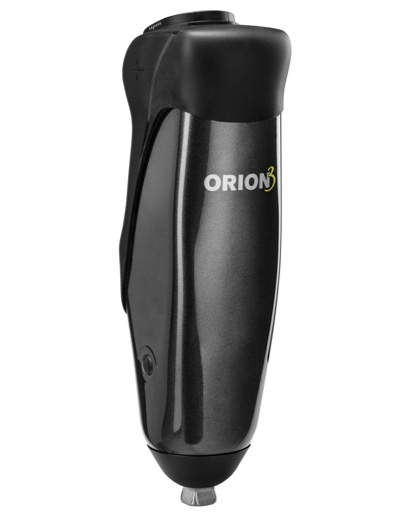 For full details on Orion3 please see the Orion3 product page.